If you’ve watched much golf on television lately, you’re probably familiar with the Callaway commercials for their new Rogue driver. Naturally, they’ve been pushing this club fairly hard, emphasizing its higher MOI, improved forgiveness, and increased ball speed; all the buzz words that we’ve become so familiar with. Not only that, but this club has something called “Jailbreak Technology” and a “Boeing Aero Package,” whatever that means…right? Let’s take a closer look. When we talk about ball speed, we’re referring to the speed of the ball coming off the clubface, immediately after impact. It’s a result of club head speed and quality of contact. So, when Callaway says that the Rogue will increase ball speed, they mean that the quality of impact is greatly improved. This increased ball speed comes from their new “Jailbreak Technology” or “Jailbreak Effect.” It’s a catchy phrase, but it isn’t a term that we typically use to describe a driver. Basically, Callaway has connected the crown and sole of the driver, with titanium bars, in such a way that it stiffens the entire body of the club and reduces the amount of deformity on impact. Instead, the face takes on more of the impact, delivering more ball speed overall. The Callaway Rogue driver also boasts about a high MOI, like nearly every other new driver on the market. Basically, MOI stands for “moment of inertia,” which is how resistant a club is to twisting at impact. The higher the MOI, the greater the forgiveness the club, because it wants to naturally follow through with the swing. This high MOI comes from their “triaxial carbon composite” on the crown, which is an extremely light and strong material that saves weight. The size of this composite crown is the largest of any Callaway driver ever made. The weight that’s been save was moved to the perimeter of the head. This design change allows the club to respond with more forgiveness on mishits. As we stated earlier, ball speed is a result of club head speed and quality of impact. The Jailbreak Technology seeks to improve the quality of impact and the Boeing Aero Package tries to increase a player’s club head speed. As you might’ve guessed by the name, Callaway worked with Boeing, the airplane company, to improve the airflow around the club, leading to faster club head speed. Callaway also offers a nice variety of shafts to go along with their Rogue driver. Whether you’re looking for something at 40g, 50g, 60g, or 70g, they’ve got an option for you. There are six different shaft types (all with varying weights and specs) for men and two shafts for women. They’ve put together a nice mix of shaft combinations with kickpoints ranging from low to high, torques low to high, and spread out weights. There is something for everyone. The Callaway Rogue is proving to be a great driver, winning the Golf Digest 2018 Hot List Golf Medal. 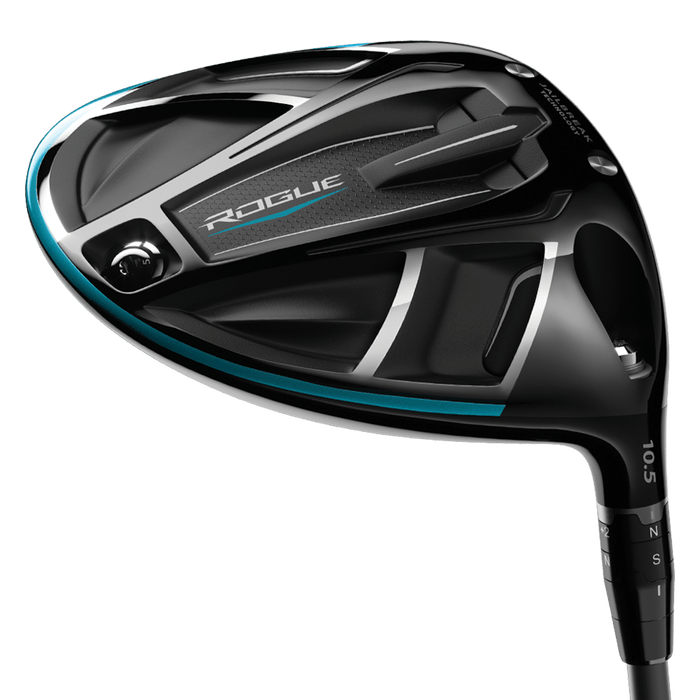 If you’re in the market for a new driver, the Callaway Rogue is definitely worth consideration. With increased forgiveness, ball speed, aerodynamics to improve your club head speed, and a ton of custom options, there’s not much more you can ask for in a new driver.